The perfect solution for all golf inspired applicationsPutting Green is a non directional, sand filled, short pile grass. 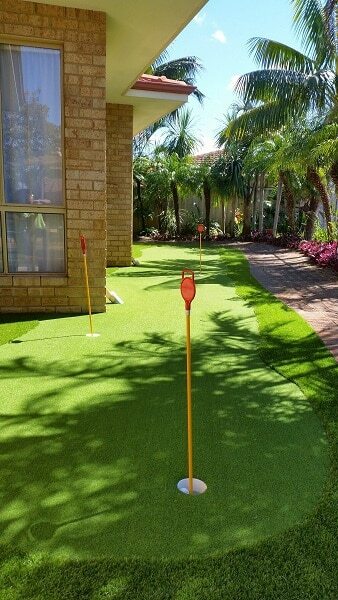 It’s ideal for golf putting greens of all sizes from the golf club to the back yard putting green. Knit de Knit yarn fibres provide for consistent speed and non directional performance, making it ideal for professional and amateur players alike. You can even surround your green with one of our long pile grasses to provide a fairway effect to practice your chipping. 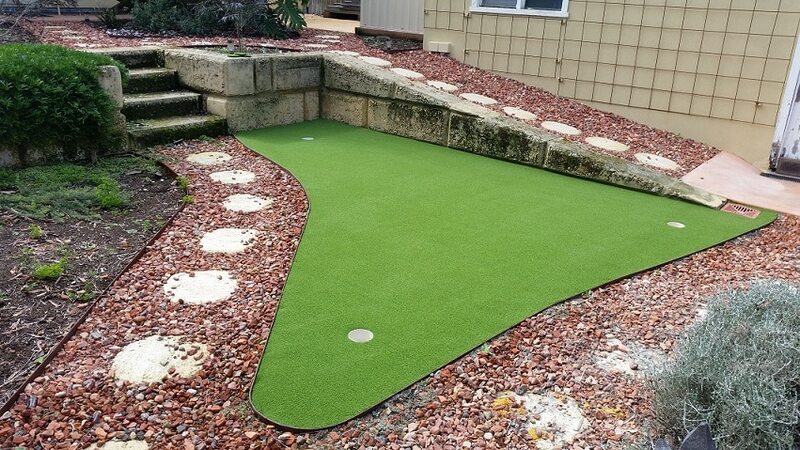 Putting Green 16mm has additional polypropylene matrix backing for increased dimensional stability.